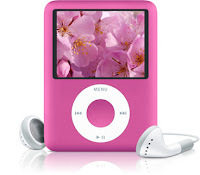 I fell in love at first sight with this new Ipod Nano 3rd generation! Now it comes in new colors, new size and shape eventhough it looks chubbier, fatter and wider than the first 2 Nano gens but still, I love it! It's poifect! 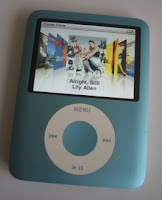 I'm still eyeing this Ipod 8 GB 3rd gen from Moneyblogger's site whose giving away this wonderful marvel of technology! Hope I can get it in time for my due date on February 14/ Valentine's day! Woot! wooot!